In the first part of this series, we explored the history of state and federal legislation governing electronic signatures and records, explained the key terminology, and addressed the fundamental principles undergirding the laws. In the second part, we covered the consent requirement, retention, and authentication. In this third installment, we address the exemptions, exculsions, and exceptions to the general rules. The purpose of the UETA and the E-SIGN Act was to ensure that electronic signatures and records were given the same legal status as ink signatures and paper records. However, each piece of legislation contains a number of exceptions. One of the most important things to know about the UETA and the E-SIGN Act are the areas in which they do not apply. The first exception related to requirements in other laws for a particular method of delivery. If another law requires a record (i) to be posted or displayed in a certain manner, (ii) to be sent by a specified method, or (iii) to contain information that is formatted in a certain manner, the other law controls. For example, if another law requires transmittal by First Class or Certified USPS Mail, you may not rely upon email (but you may email in addition to USPS). Another important exception to the general validity of electronic signatures and records is for the requirements of the various laws governing the creation and execution of wills, codicils, or testamentary trusts. It would be a grave mistake to attempt to execute a will using an electronic signature. Laws governing adoption, divorce, or other matters of family law are exempt from the E-SIGN Act (though the UETA does not specifically exclude them). the transportation or handling of hazardous materials. The E-SIGN Act and UETA may, or may not, apply to transactions involving government entities. In North Carolina, transactions with government entities are controlled by the Electronic Commerce in Government Act (G.S. Ch. 66, Article 11A), which allows for the use of the UETA as alternative to the more complex (and secure) procedures described in that Article (which establishes the role of the “certification authority“, a person authorized by the Secretary of State to vouch for the relationship between a signatory and a public agency). 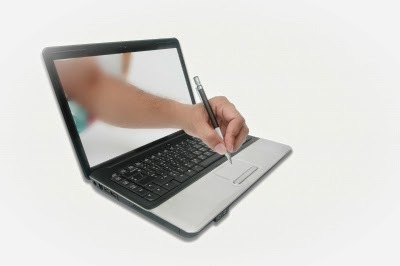 By understanding the circumstances in which electronic signatures and electronic records may--and may not--be used, as well as the requirements imposed by law, we can effectively utilize electronic signatures and records and enjoy the benefits of technology with confidence in their validity and enforceability.